I love DIY meals and snacks. In my mind, a DIY snack is one in which everyone gets to create their own version of the food item that’s on the menu. 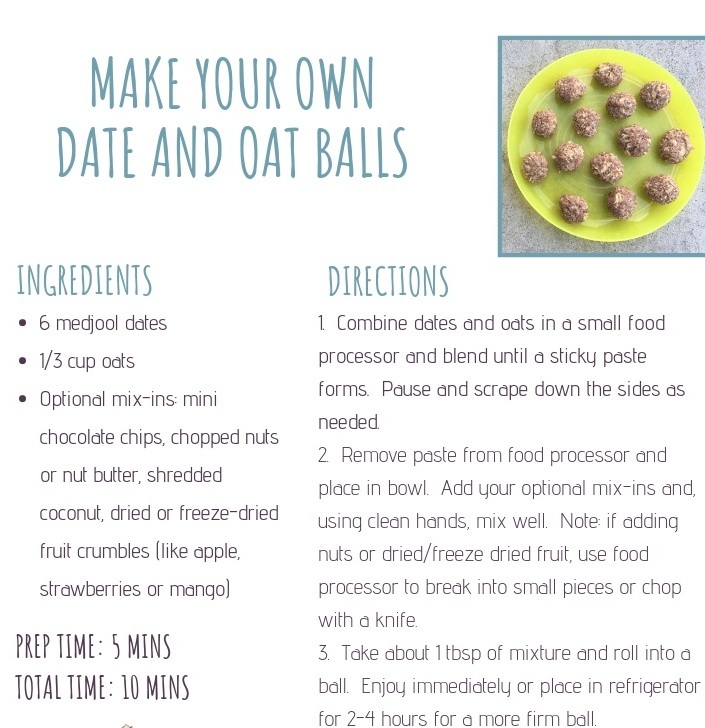 These date and oat balls are easy to make, nutritious, and even young toddlers can participate. I make a date and oat slurry in the food processor, and then provide some optional mix-ins for my kiddos prior to rolling these into a ball. It’s a fun sensory and fine motor activity as well: little hands are able to touch the sticky mixture and work on rolling that mixture into a ball!